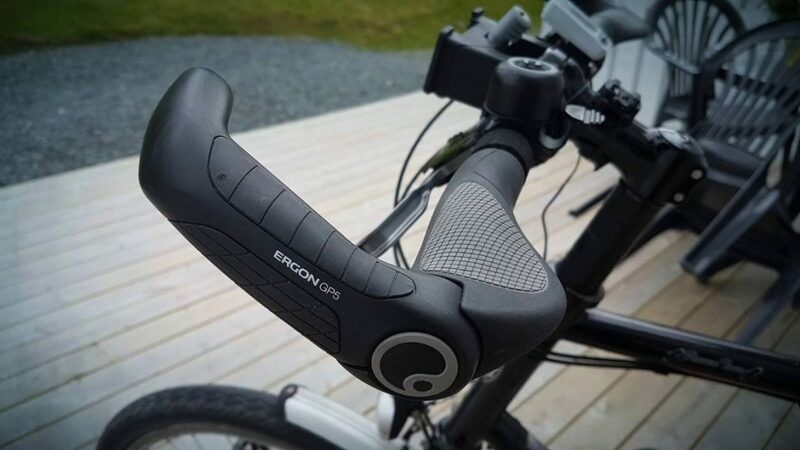 Having seen the radically different ‘Ergon Grips’ at the 2005 Selkirk Merida 100 Enduro event in July 2005, I thought they sounded like a good idea, but remained sceptical as to their actual effectiveness. After speaking to the folks fitting them, and some riders using them, I became a bit more convinced and was sufficiently interested to consider buying a pair. The chance to fit and test the grips came sooner than expected in August 2005 when I received a frantic phone call asking if I would like to fill in for an absent team-mate in the ‘Sleepless in the Saddle’ 24-hour endurance race…. A quick trip to Walkers Cycling, and I had a pair of MR-1 grips to fit with less than 4 days before the race. I chose the MR-1’s, as having a stubby bar-end would offer a few more riding positions – very useful for a 24-hour race! Fitting the grips was as easy as any other grip, step-by-step instructions are included for those who need advice. In use I expected to have to make many minor adjustments to the grip / bar end angles, (grip and bar end are independently adjustable), but this was not the case and I found an ideal position combination with only one change in angle required. As soon as the grips are fitted it becomes very apparent why most of us get sore hands when riding for long periods – most of us ride with our wrists pointing downwards – but because we have ‘adjusted’ to it, we accept it. The Ergon grips force your hands / wrists into the correct position and are VERY comfortable as a result. The flatter ‘paddle’ shape spreads the load over a much greater area of each hand, lessening the pressure on the palm and reducing / eliminating tingly fingers caused by excessive palm pressure. The portion of the grip nearest the shifters is fully rounded allowing the hand to pivot round easily for comfortable gear changes (I use trigger shifters but I would imagine they’d work equally well with GripShift). The thicker profile of the grip makes for a very natural climbing position, and again the ergonomic shape reduces finger tingling / numbness when hauling hard on the bars. Descending is also made easier with a greater feeling of control and a reduction of ‘white knuckle death grip’ as less hand pressure is required to wrestle the bike and maintain intended direction. The only problem I had was in the wee small hours of the 24hr race when I noticed the brake levers were pointing at the sky. My fatigued brain cells were too tired to notice that the whole bars had slipped round – not the newly fitted grips!!! I think that fact shows how much more pressure you can put on these grips without even realising it – all handlebar fittings were checked thoroughly before leaving for the race, and all were tight. 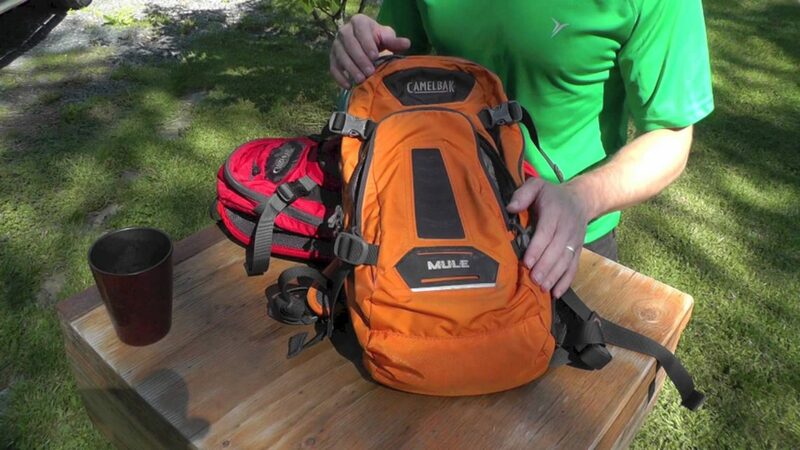 As a user of Camelbak hydration packs since the early 1990’s, I was please to be able to try out the 2006 version of the most popular hydration pack in Camelbak’s range – the M.U.L.E. M.U.L.E stands for Medium to Ultra Long Endevours, and it’s aimed squarely at all day / enduro type riders who want to carry enough liquid and supplies for a comfortable day out, without taking a rucksack. 1) A mesh pocket for a very small waterproof, snacks, or anything else you need to keep to hand (but don’t mind getting wet / dirty / dusty). A rubberised splash guard works quite well at keeping most of the crud off the pockets contents. 2) An organiser pocket and numerous pockets for small items like change, snacks, mobile phone, a key holder. If you have a short mini pump, it could go in here too. 3) An expandable area ideal for a normal sized waterproof which can be nipped up tight to prevent fallout with the expander straps. 4) A large pocket for normal length mini pump, suspension pump, a map, sandwiches / snacks, anything not already catered for by the other pockets. All pockets have double zips for access from either side (or for carrying weird shaped items!). 5) The bladder pocket. This is accessible from the back of the pack so you don’t have to decant everything to refill the bladder (very clever and useful!). The pocket position keeps the bladder nearer your body which helps prevent movement, and helps keep the contents warm if it’s really cold! There’s a hanging loop to prevent the bladder folding itself over and blocking the drinking tube outlet as it empties (nice touch!). 6) Fleece-lined MP3 player pocket which also has a weatherproofed zip / headphone lead exit area. Very well thought out and useful. If you don’t have or use an MP3 player, you can fit a compact digital camera, helmet lamp or helmet cam battery pack or a pair of shades in it. Anything delicate which you don’t want to get scratched or joggled about too much.